AP280-240 – WaterSaver Faucet Co. Application: Alarm units serve two important functions when installed in conjunction with emergency eyewash and shower equipment. First, alarms serve to alert facility personnel that an accident has occurred and that assistance to the user may be required. Second, alarms deter unintended or malicious operation of the emergency equipment. For this reason, they are advisable in schools and other areas where the possibility of vandalism is present. Alarms are activated by a flow switch that senses the movement of water in the supply line when the safety unit is activated. Once activated, the bright light flashes and the horn sounds loudly. Installation: Unit is designed for use with surface mounted laboratory units. Combination light and alarm horn is surface mounted on wall. Flow switch and electrical wiring are located behind wall or below unit. 120 volt, 0.11 amp electrical supply is required. Visual Signal: Amber flashing light with shatter-resistant lens. Audible Signal: Horn delivers distinctive, urgent signal at 90 db. Flow Switch: 1″ IPS single pole, double throw waterproof flow switch for installation in water supply line to emergency unit. Switch senses flow of water when either the eyewash or shower is activated. Flow switch must be installed with tee fitting in horizontal position, flow switch body in vertical position and at least 6″ from closest fitting. Direction of flow is marked on switch body. 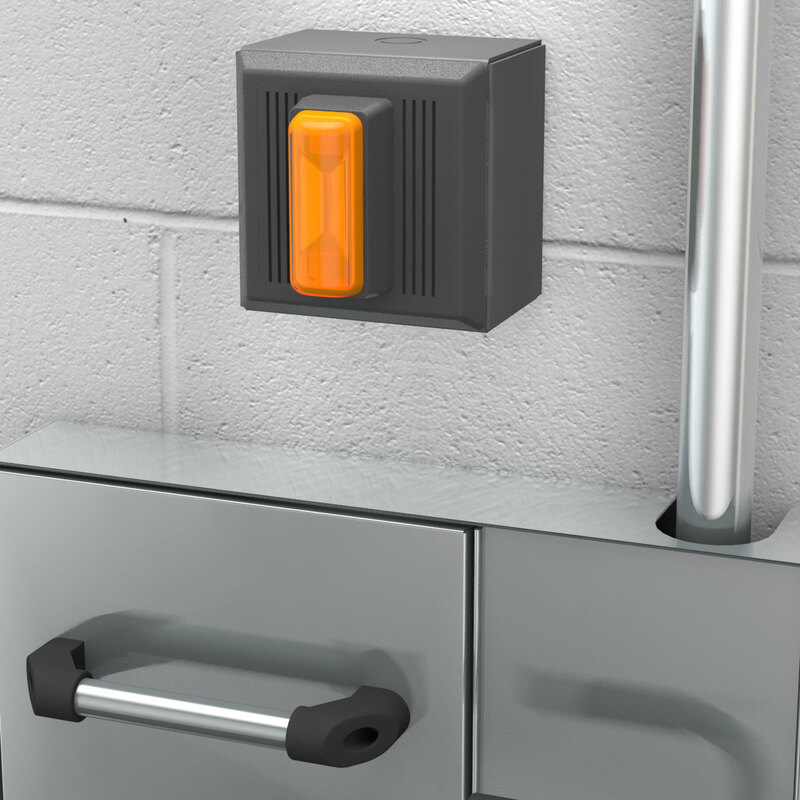 Mounting: Furnished corrosion-resistant surface box and hardware for mounting components on finished wall. Electrical connections by others. Quality Assurance: All components are factory tested prior to shipment. AP280-245 Same as above except with double pole, double throw flow switch for connection to monitoring system. When emergency unit is actuated, light and horn activate and electrical signal is sent to remote monitoring location.